I wanted to create my own take on the popular summer wardrobe staple, the peasant or gypsy top as they are often called. 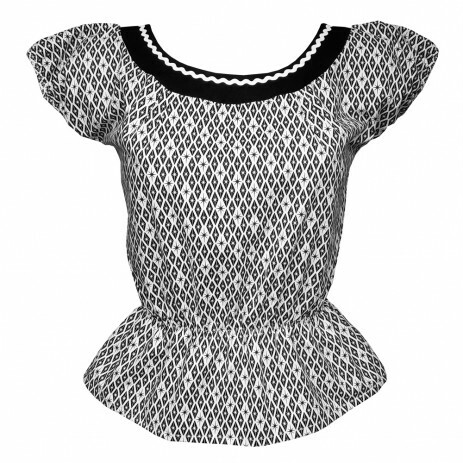 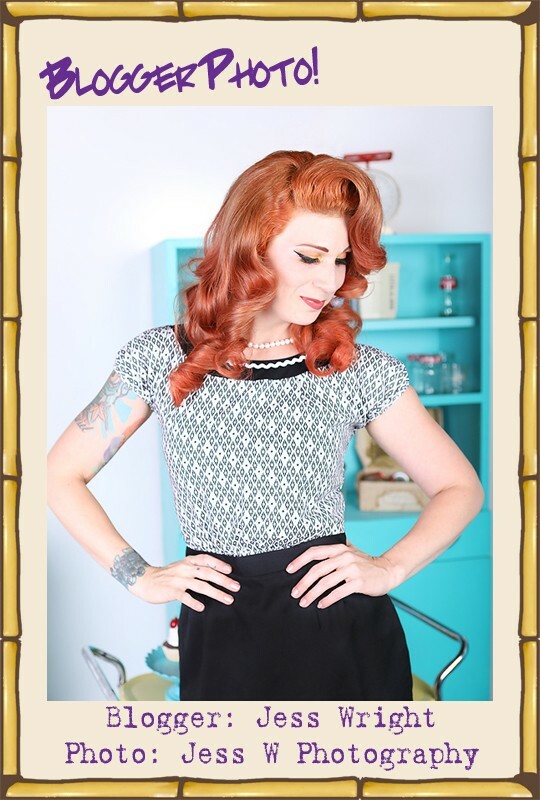 The Miss Fortune peasant top keeps the puff sleeves and gathered elasticated waist but with the addition of round neckline adorned with ric rac trim. 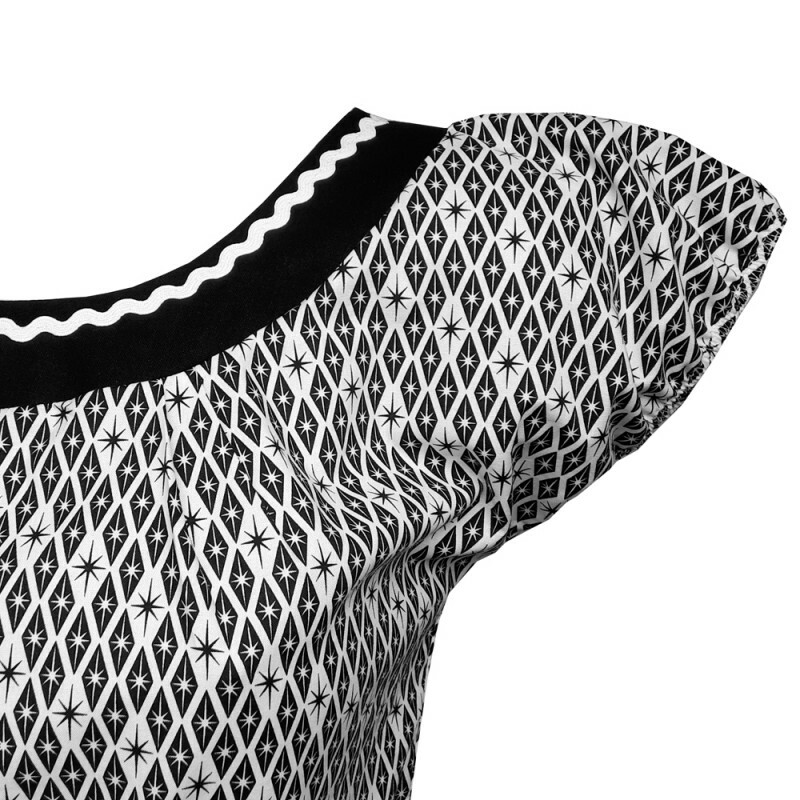 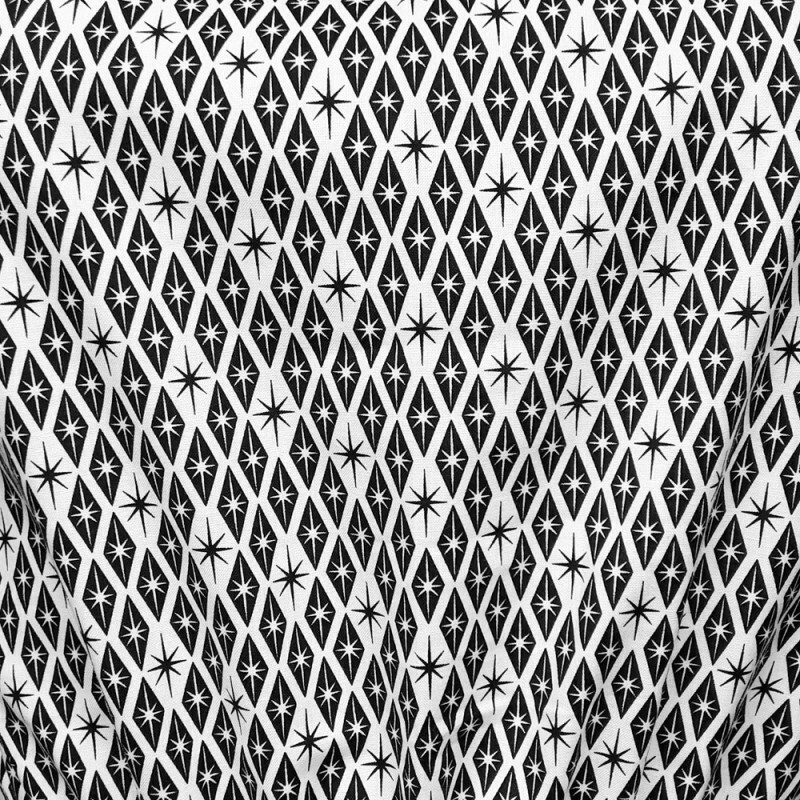 This colourway is made of 100% cotton black and white print of diamonds with atomic stars. 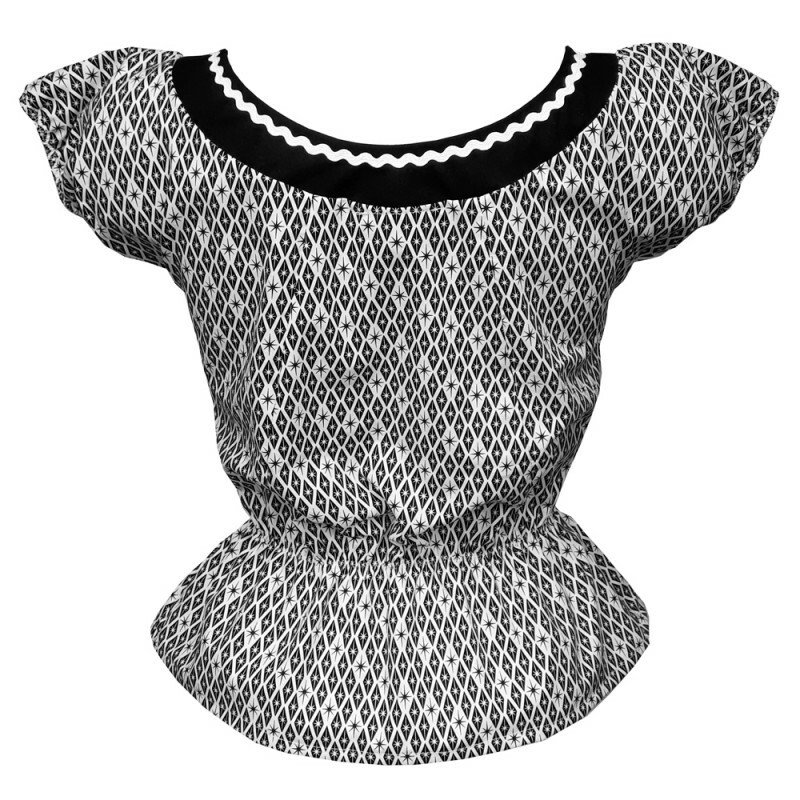 The neckline is finished with white ric rac.